The World Intellectual Property Office (WIPO) in the Hague has an interesting Samsung entry in its database that will now be automatically accepted in 70 countries as a unique design patent. Unearthed by LetsGoDigital, most of the design sketches depict a phone with a hole in the display that will house the selfie camera which differ in the way their corners are rounded. 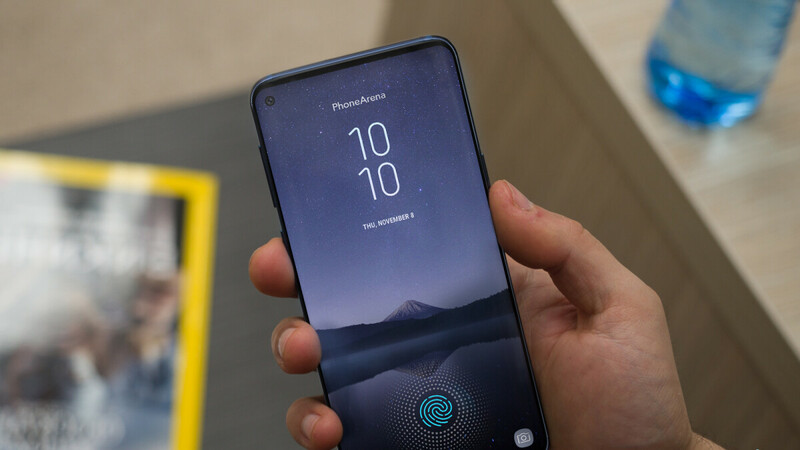 Given that the Galaxy S10 is heavily rumored to employ exactly such a design (Samsung calls it Infinity-O), these might be the approaches Samsung will take with the various S10 models' designs. The fun part is that on most of these images, the hole-in-display camera is placed at the left, except on the J-L schematics which are said to be of a separate design patent filing. How will Samsung manage to pierce through the OLED display and still show uninterrupted imagery around the Hole In Active Area (HIAA) concept? Korean media is reporting that it will be employing laser drilling between the OLED deposition and thin-film encapsulation (TFE) processes. The process is more challening to do with Samsung's flexible OLED displays that use plastic instead of glass substrate, as the hole's circumference has to be sealed separately against oxygen and moisture to prevent LED deterioration. Still, if anyone could do it easily, Samsung wouldn't be unique in employing it on its signature flexible OLED screens, and the Galaxy S10 is an anniversary edition of the famed S-line that needs to be unique. There is no sensors ? The notification LED seems to be gone. But maybe they will surprise us. A flat screen variant would be really nice. Tbh I stopped using the notification LED and instead tried the always on display alone, works better for me and I'm sure others have too. Not a complete deal breaker. I use both. But I might start practicing your method just in case they do get rid of the notification LED. You have Always On Display , LED is useless .. I take it you know what a good looking A-hole looks like. There are many options for full screen without an impeding notch or hole if anyone chooses. Doesn't mean we can't put pressure on the larger companies to do it at scale. And they will use them options in time so they can continue making money in future phones, if they do the latest tech straight away then they wont make profits in future phones. People moan about things soon as its released. I prefer this solution over an overbearing notch. It's clean and unobtrusive. Still waiting for the under screen front facing camera, it this will do fine until they perfect that Technology. "unobtrusive" is yet to be seen, I wonder how that hole won't interfere with bars, menus, etc. Hole at side look freaking annoying. If want hole, put at center better. That design is beautiful. But it does bring into question... they’re not only going to have to optimize their first-party software and user interface to work around this; but what about third party apps?